The Monster High gang loves to fang out at the Coffin Bean, one of their favorite haunts. 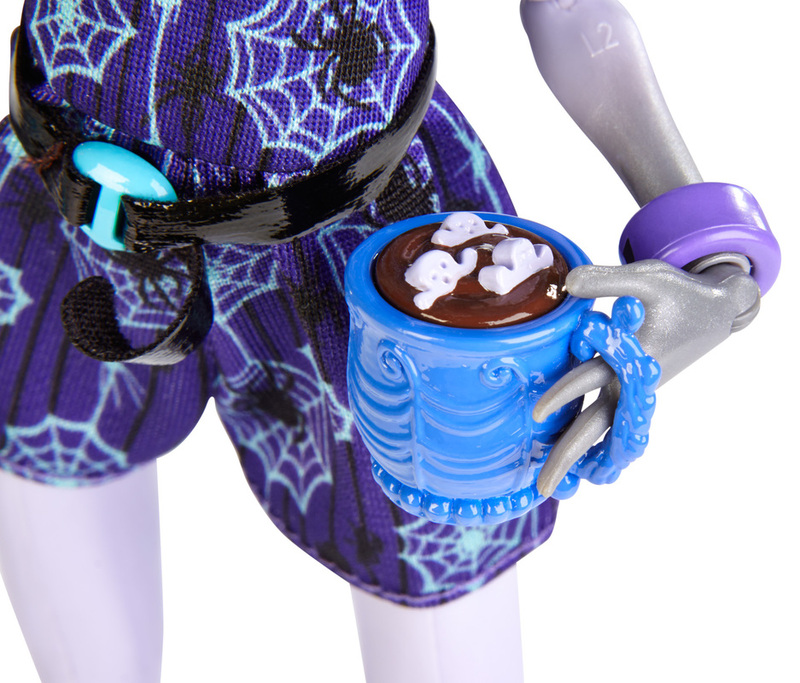 Carrying her favorite ghoulish treat, Twyla is ready to grab a table for some ghoul-talk with her beast ghoulfriends (sold separately). 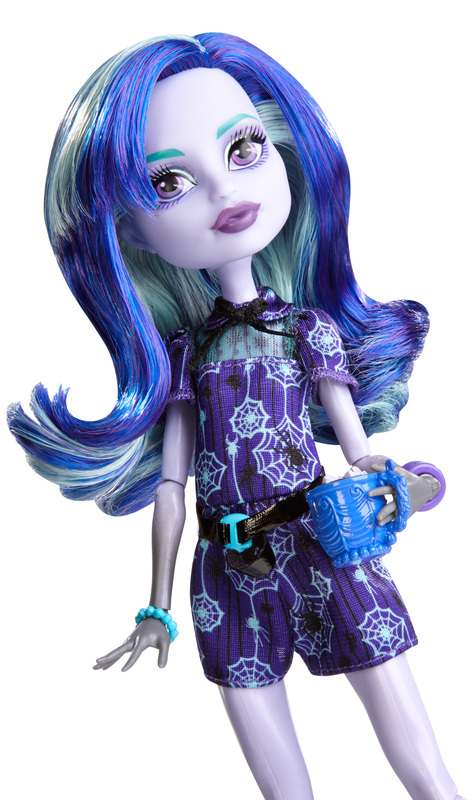 And even though the dress code is comfy and casual, this monsterista is always a fierce fashionista. The Daughter of the Boogey Man wears graphic prints, a sleek silhouette and to-die-for accessories that are all so dreamy. 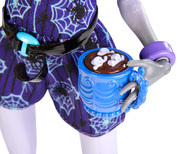 Plus, her haunt chocolate drink with ghostly marshmallows fits in her hand for a final killer touch. Collect all three dolls in the assortment for a full gabfest (other dolls sold separately). Includes doll and drink. Ages 6 and older.